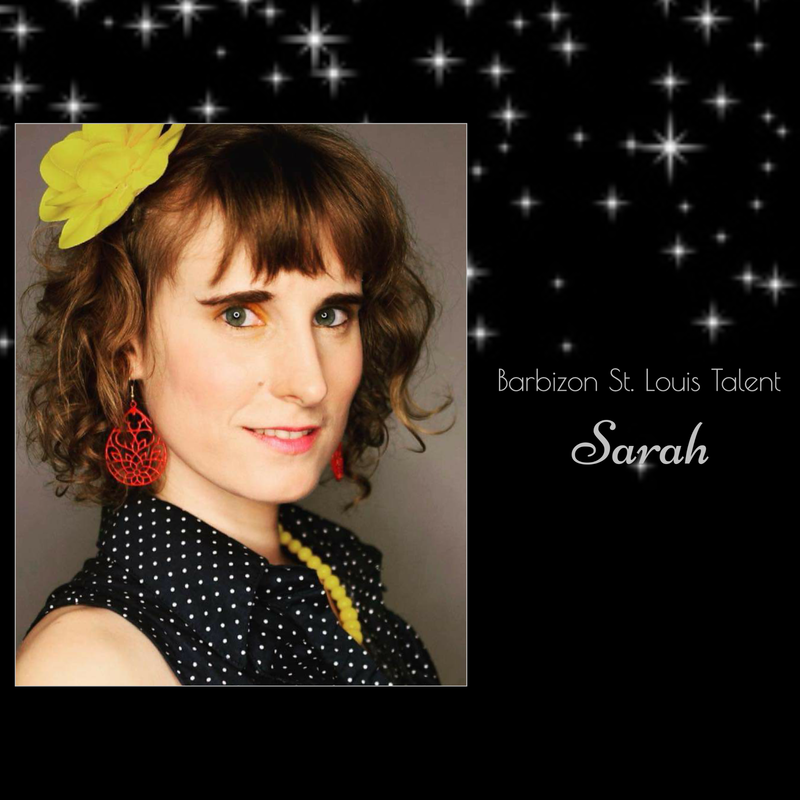 Living out your Dream at BarbizonSTL! ​Did you know that Julie Tristan, the award-winning, emmy-nominated, multi-media journalist, on-air talent, anchor, host, media personality, photographer, editor, most requested emcee in St. Louis and animal advocate is a Barbizon St. Louis Graduate?! Yes friends, she is a part of our family here at #barbizonstl! We are so proud of ALL of her accomplishments and wish her continued success! ​Congratulations to my girl for completing her first step to a career in acting and modeling. Barbizon has given her the tools necessary for acting and modeling, as well as taught her self confidence, leadership skills, self independence and motivation. Thank you to all of the wonderful instructors and students for making this a positive experience of a lifetime. ​“Barbizon Graduation! I chose Barbizon modeling agency because the classes have given me the tools on how to become a professional model and actress. I grew in the skills of building my confidence level to believe anything is possible. There are a window of limitless opportunities just waiting to be opened. Work hard for your dreams and never give up”. 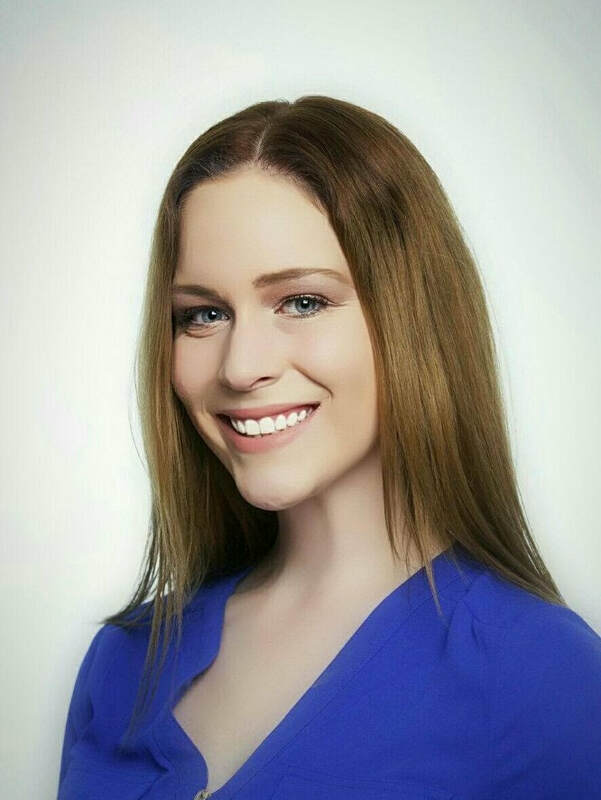 "I honestly couldn't have gotten this far without the help at Barbizon, thank you!" Thank you so much for all of the love and support all of you have given me! To think I’m actually part of something like that (USmooth Campaign), it blows my mind. Thank you for getting me as far as I have! Even if it may not seem like much, I’m so thankful for all of you! Graci & I both think the world of you & we hope you realize we truly appreciate you & everything you do for us, especially for Graci! Monica, Kristy, Tylie & the rest of the Barbizon family is such an amazing 2nd family to us. Graci always looks forward to the weekends when she knows she's going to Barbizon. As a mom, I can't THANK each & every one of YOU enough for taking Graci under your wings since day one. She's grown so much & she will continue to blossom because she has her Barbizon family supporting & encouraging her along the way. To talk and walk with confidence and how this makes difference on any situation (job interview, presentation, etc). The most important thing I learned is to love myself no matter what I looked like and to make the most of what I have. Yes, this is a "modeling agency" and certainly part of it is learning about fashion, skills to be a professional model, but for me... it was so much more. I think having such an amazing and caring owner who truly 'loves' her girls and the people that she works with is what makes a difference. She truly has made this agency her second home and loves all of her kids and the people that work for her. Monica is an AMAZING person and you certainly see the 'light' in her each time I talk to her. I am honored that my baby girl Angelina Enriquez will join my legacy and attend classes there starting in the fall. Angelina will get to learn that beauty isn't just about how you look, but how you act. You can be anything you want no matter what you look like or your size. I was a 'plus size' model and very successful in St. Louis market for me. I achieved goals of walking on runway with 'thin' models, I was able to be on television doing the local 'around town news', and I achieved being in a beauty pagent representing Illinois. All of this was possible for me at a size 14/16/18 as my confidence would shine through and makes you appear even more beautiful when you learn to love what God has given you. So excited for my little girl to follow in my steps to continue to learn to be confident with what God has given her and to present herself to the world in the best way she can --- as a professional and confident young lady! Throughout my life, I have struggled with my looks. People have told me that I need to lose weight, that they hate the way my hair looks, and so much more. I could go through weeks feeling like the ugliest person in the world. I always tried to seem like their comments didn't affect me, but they were killing me on the inside. When I heard about Barbizon, I never thought I could become a model because I didn't think I had what it took. As you can probably tell, I had extremely low self-esteem and absolutely no confidence. However, when I joined Barbizon my life changed forever. Barbizon allowed me to feel good about myself and it let me know that I was unique in my own special ways. I know now to never let anyone put me down about how I look and I also know to never settle for less than what is possible. I will be a successful model in the future because I now have the confidence and skills to get me there. Whenever my peers put me down, their words no longer hurt me because Barbizon taught me that everyone is really beautiful in their own way. I want to thank Barbizon for teaching me everything I need to know about the modeling and acting business. I also want to express deep gratitude to all my teachers at Barbizon for allowing me to gain my confidence back. You've allowed me to feel beautiful and proud once again. ​"Getting ready to teach the very Skin Care and Makeup class at Barbizon St. Louis that originally inspired me to really get into makeup and esthetics." ​"The school where my dream became reality." Wow! How can I ever thank you enough? Thank you so much for the honor of being your "model of the month," being featured on the international Barbizon website, and all of the other amazing opportunities you have given me. I know that I would not be where I am right now if it were not for you and the wonderful teachers at the Barbizon school of modeling. You all have taught me so much, and all of the classes I've taken have been so much fun and also so rewarding. Thank you all so much for all of your help and support and I feel so honored to be a St Louis Barbizon girl. ***Tess was a contestant in Miss Gateway St. Louis and was crowned Miss Gateway St. Louis Outstanding Teen! Tess has competed in several pageants and has won multiple titles. ***Tess also competed in the Miss Missouri Teen Pageant. 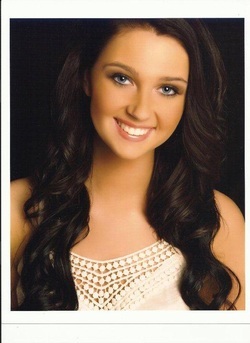 Her awards include 2nd runner up and winner of the photogenic category, preliminary talent, and people's choice. We are so proud of you Tess! Thank you so much for all of the support! A lot of the skills i learned from Barbizon definitely helped me throughout the pageant. Thanks again, I really had a fabulous week! Grace receives a diploma upon graduating! Thank all three of you for all the work you do. I have had a great experience with Barbizon. All of you have been such a blessing, and I look forward to working with you in the future. **Grace was one of three chosen this year to attend IMTA - International Modeling and Talent association in New York City. I started out with Barbizon 22 years ago at the young age of 15 with no previous modeling experience. I found great value in all of my classes, being very grateful for the knowledge I walked in away with. I still remember the skills needed to apply make-up for black and white photos, runway technique and most importantly, professionalism. I had my first job at a trade show at 16 and my career blossomed from there. I went on to do many a trade show and spokes model positions. Eventually my path led to commercials, fitness modeling and dancing for the 1995 St. Louis Rams Cheerleading Squad. What an exciting time it has all been! I am so grateful for all that I have learned and for all of the support that I received at the age of 15 and continue to receive in both my personal and professional life as a nurse. "I just wanted to thank Barbizon for everything. I went to an audition for a local store runway show and I booked it! I will be on the runway! Thank you! I would not have had the confidence. A person can succeed at almost anything, for which they have unlimited enthusiasm. ♥ I wouldn't be here if it wasn't for Barbizon - they built me, they brought me out into the world. They taught me confidence, and perseverance will always work. I am following my dreams. Thank you Maddie, Kristy, And Monica and all the lifetime friends I met there. Courtney and Kendra just to name a few. I miss you guys and I thank you for all you do! Gabrielle spent the 2008 summer of her junior year modeling for a major agency in New York. She is signed to a two year contract and is enjoying much success. She has had the opportunity to shoot with several international photographers. While back here in St. Louis for her senior year, she appeared in the St. Louis Fashion Week Show for Apple Bottoms. She also appeared on Fox Channel 2 and Channel 4 for Osage Beach Outlet Mall modeling the lastest Fall Fashions. Everything is going great! I was going to write you and tell you thank you for everything! None of this would have happened if it wasn't for you. Everyday I have between 2 to 4 castings. I get alot of the hair castings. The other studios always request me. Its great . . . I just walk around New York alot and I'm getting blisters from always having to wear my heels! I joined Barbizon in the summer of my sophomore year in high school. To say the least, I was an awkward, ugly duckling. My summer class experience at St Louis Barbizon was amazing. I had wonderful and challenging instructors who taught me good skin care, runway walking, etiquette and even how to get out of a chair gracefully. After working for Barbizon through high school and college I earned my teaching degree at SIU Carbondale. I decided that I wanted to teach at Barbizon and enjoyed every minute of my 5 years teaching. It is a great opportunity to help other girls reach their potential and encourage them in their future goals. I am now a mom of two with one on the way and I never hesitate to put on my lip liner before going out the door. I am grateful for everything Monica and St. Louis Barbizon have done for me. Toni is a 16 year old who graduated from Barbizon in December 2007. “Attending Barbizon has given me the confidence in myself to not only in modeling, but it has helped me become stronger in my stage performances as a dancer and actress, too. I don’t get the butterflies I use to when walking out on a stage,” says Toni. Toni had her first photo shoot with Randall Owens Photography. This photo shoot helped kick off her portfolio. She would have not had this opportunity if it had not been for Barbizon. April of 2008 brought the Hair Show Exhibition to St. Louis. Toni modeled for the Joicho/Iso Company. Her hair was colored a beautiful chocolate brown with highlights and fused by the hair designers. Toni was picked to model in “Definition of Fresh: Fashion 101” show. She opened the show playing the part of “Cimone” an aspiring ballerina. Then she modeled several outfits for up and coming St. Louis fashion designers from Lindenwood College. Then, she took part in a Build-a-Bear National commercial. Toni, also, enjoys volunteering. Each year, Toni takes part in the Back Yard Kids Show as an actress/dancer. This organization is a volunteer group, which raises money for various charities through the presentation of a play in the local St. Louis community. Plus, she spends each summer participating in several pageants where she has earned awards including: Supreme Talent Queen 2007, 1st runner-up Photogenic x2, 2nd runner-up Acting, and 3rd runner-up Talent x2. Additionally, Toni competed in National Miss America 2011. Toni won several awards including 1st runner up in Miss Photogenic, 2nd runner up as actress and in casual wear, and also won most promising model! When she is not pursuing modeling/acting, you can find her at Gerri Stretz Professional Dance Center where she is a member of the Rhythm Revue Competition Team. I joined Barbizon in 2005, when I was 15 years old. I am now 22, and have been modeling since. Before joining Barbizon, I was extremely quiet and shy, and I didn't know the first thing about doing my hair or makeup. People told me I should try modeling, so I started looking for an agent. I took the modeling classes for a summer, and I learned lessons and gained information that will benefit me for the rest of my life. I have taken part in several fashion shows, including two Barbizon shows, a Coldwater Creek show, and three hair shows. The hair shows were for Framesi, Matrix and Aveda. I have also done Barbizon's photo shoot, along with two shoots with professional local photographers. I did a photo shoot for First to the Finish, and the pictures appeared in two catalogs. I also did a bridal shoot with the St. Louis Post Dispatch fashion section. Barbizon changed my life. It has given me more confidence and has taught me how to present myself in the most professional way possible. Everything is going great in Tokyo. I have had one job so far! It was a fashion show, and it was awesome! This time around is going a lot better...my roommates are awesome...but they will be leaving soon so i am a little sad. We go out alot this year, this past weekend we went to Disneyland and then on Sunday to a Tokyo Drifting show! I am having a lot of fun! Everything is still going good, I had another sportswear job for a big tennis company called Yonex. I have also had two test shoots! I wanted to take this time out to say thank you once again for all of your help. 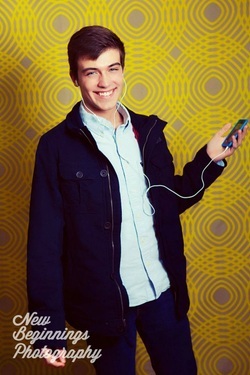 Having a modeling career is something that I have dreamed about ever since the age of 17. I have pushed and pushed and finally I feel that I am getting somewhere thanks to Barbizon. Just in one session alone, I have learned a lot and I am very appreciative of my knowledge. To let you in on my dreams, I would even like to become a Victoria Secret model like my favorite model Alessandra. I have read your email about the International Model and Acting Convention and I hope that I can live up to your expectations of modeling because, I would love to be one of the models that gets the opportunity to travel with you to New York to represent Barbizon.